With a cornucopia of beautifying products and procedures for men, including facials, shampoos, deodorants, fragrances—sales of which all increased—the challenge for the ordinary guy is where to go for more of these. The floodgates of beauty possibilities have been opened. It used to be that chaps had only two choices: to go to the traditional barbershop, where services were limited, or to spas and salons where there were more options for grooming services but which still looked “womanly” in branding and ambiance, thus intimidating men. From brick-and-mortar barber shops and unisex salons, there are now more and more spas and salons catering exclusively to men, many of them with a masculine ambiance that is chic, affordable and inviting at the same time. This new breed of men’s salons has become a big industry today. His vision was brought to life with the opening of the “The Patrons” No. 1 Barbershop in Davao called Macho Mucho. 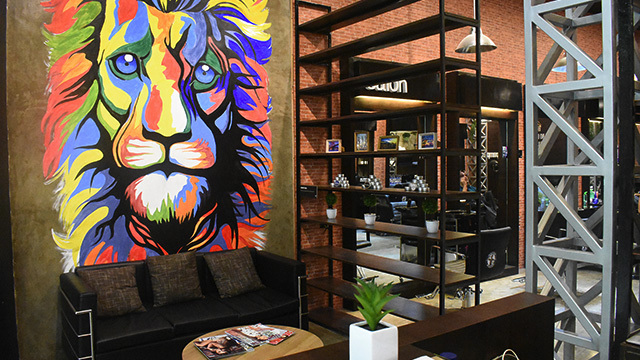 “At Macho Mucho, we fused the barbershop concept with the salon concept so that men feel comfortable being themselves in a masculine, urban-industrial designed shop, replete with all the grooming services they need,” Layco says. Macho Mucho belongs to this innovative category in the beauty business, making sure that all aspects of its physical store, products, services, barbers, stylists and attendants project only the best and create a welcoming atmosphere for men to want to come in and enjoy their pampering services. Brand-building is done through millennial marketing communications and service innovations. Though defying the industry norms of a barbershop, Macho Mucho is able to supply what the market demands. The highly trained barbers execute out-of-the-box innovations like the Beer Hour and Boss Special (5-in-1 services, including haircut, shampoo, blow dry, hot towel massage, face shave). There is a service called Happy Feet done by skilled attendants, while hair and scalp treatments are performed by experienced stylists. All services are available in the company’s seven branches spread out in Mindanao and Luzon (Laguna and NCR). Soon to open are two more outlets in the second quarter of 2018. To further ensure that there is something for every male customer’s experience, each shop has two formats—premiere and original. Premiere is a combination of a barbershop, spa, and salon, while the original is a traditional barbershop with a bar counter serving beer, coffee and light snacks. 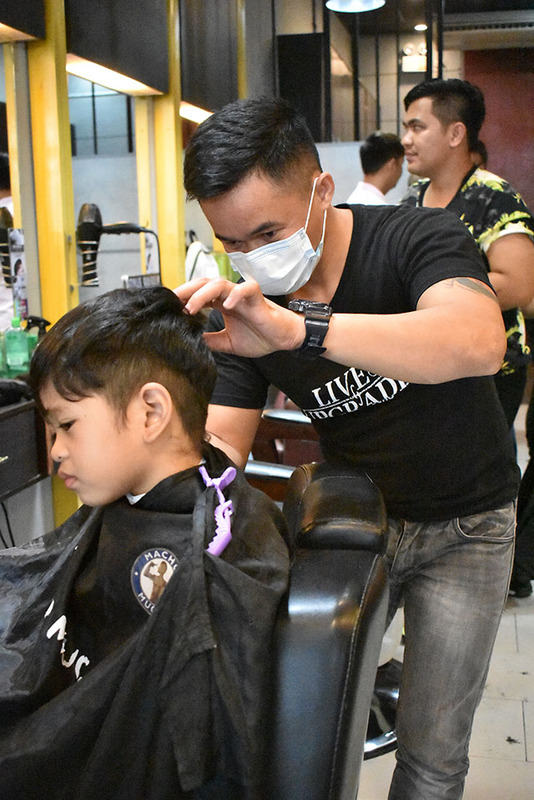 There is even a Macho Mucho Junior to serve the grooming needs of young boys. The success of Macho Mucho can be attributed to its unique stand-out concept. For such a young brand, it has already received numerous awards. In 2015, GoNegosyo announced it would “disrupt the barbershop industry” and presented it with the award for Best Concept, besting 60 other national entries. Truly, Macho Mucho has come a long way from its roots in General Santos City. Today, the company is experiencing another breakthrough. After receiving numerous inquiries from clients from Gensan and Davao City, Kaye Layco, the current CEO and Ralph’s sister, says they are now looking into franchising the brand. “We now have the confidence in our system,” she says. “To create an impact on more men, I think franchising Macho Mucho is the way to go. This way, we multiply repeat purchases, which redounds to more business success. In the service industry, once you meet a client’s initial expectations, they will trust you more and come back for repeat service and embrace other services. 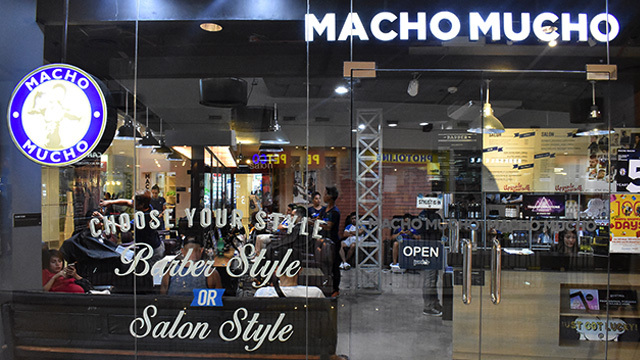 To know more about how to franchise Macho Mucho, visit U-Franchise Sales & Management Inc.’s website or contact us at 634-3717, 635-0586, 0917-8816999 or email franchising@ufranchiseasia.com. Sam Christopher Lim is the Chief Marketing Officer of Francorp Philippines; President of U-Franchise Sales & Management; and Chairperson and Director for ASEAN of the Philippine Franchise Association.